EBS provides the 100% accuracy our clients require; the efficiency they are missing; blended with the security and functionality that no other payroll service provider offers — beginning with a seamless and error-proof conversion method. Fax / Phone / PC options available. 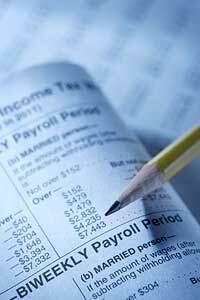 Detailed payroll reports and quarterly & year-end reports available at no additional cost. EBS can calculate, impound and file your federal and state payroll taxes. A full range of quarterly and annual tax filing services are also available, as well as garnishment checks and compliance with garnishment regulations. EBS offers Direct Deposit service vis-à-vis all banking institutions and locations throughout the United States. Call 818-488-1690 now to discuss.